The Particle IoT platform a turnkey solution, but you still need to know the details. Internet of Things platform provider Particle, founded in 2012, recently secured $20 million in Series B funding to deliver enterprise IoT solutions. To learn more, I recently spoke with Dan Jamieson, GM Enterprise Platform at Particle. More than 120,000 people and companies are using the Particle platform to develop IoT products. The platform includes everything a company needs to connect devices to the Internet, including Wi-Fi and cellular modules, IoT SIM cards, data plans, a secure and reliable IoT cloud, and software development kits (SDKs) for building mobile and Web applications for IoT products (read the No Jitter post "IoT: Time to Shine!" for an example). Particle is a turnkey solution, but you still need to know the details -- remember the adage "the devil is in the detail." Consider Particle in context of the growth in cellular and IoT connections. According to Machina Research, a market intelligence firm, cellular connections are set to grow from 334 million worldwide at the end of 2015 to 2.2 billion by 2025. IoT connections will grow from six billion to 27 billion in the same time period, the firm said. Particle offers cellular connectivity in a wide variety of industrial and municipal IoT applications, serving gas stations, oil rigs, storm water drains/systems, manufacturing equipment, agricultural systems, and construction. Fifty percent of S&P 500 companies use the Particle platform to develop IoT solutions, including 90% of S&P IT companies and 59% of S&P Industrials, Particle reported. Here are some talking points from my conversation with Dan. Cost - At enterprise volumes, Platform charges $2 to $3 per device, per month. This includes a data plan pool. This is significant: A pool is a collective of time shared by resources, and Particle has learned that at times some devices will rack up more time because of what they are reporting on -- failures, for example, or sending action alerts. Paying attention to data pools is important for keeping costs in check. Device life cycle - Expect a device to last five to 10 years, and this includes the battery or power source. Devices are manufactured according to requirements needed to hold up in the environment in which they're going to be installed. This goes to my constant reminder that you must use the right materials for the job at hand, whether you're dealing with high, low, or extreme temperatures; harsh environments; sunlight; water; wind; etc. Service-level agreements (SLA) - Particle offers SLAs around message delivery. Responsiveness and low latency will be competitive differentiators for IoT. Particle is controlling IoT costs through deep integration, being able to control protocols, and use of cloud technology, Dan said. The other consideration is how to manage overhead of messaging, since messaging equates to data consumption -- and this is a key cost component. Particle has trimmed its message consumption rate to 0.05MB per month per device through integration and optimization. Particle's R&D continues in improving bandwidth optimization, reducing costs of deliverables, increasing efficiency, and reducing power consumption. Some of the power challenges included use of friction to create power (think brakes on a Ford hybrid), solar cells, and RF harvesting. 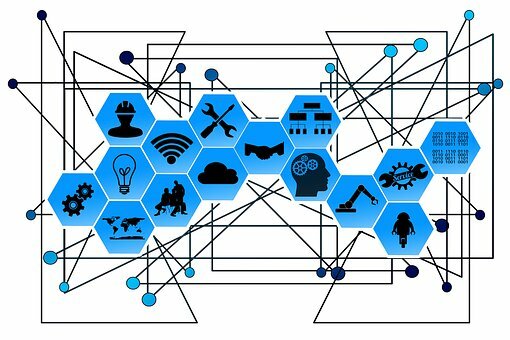 All of this combined is a perfect challenge for putting IoT in motion, with billions of devices creating a new and vibrant industry for driving business improvements. Editor's note: This article has been updated from original posting.